Growing up, Adam Mesa wore a Star of David around his neck and an Israeli flag hung over his bed. Although not born Jewish and raised Christian, Mesa was told that he is a descendant of Spanish-Jewish immigrants and, as a child, was deeply proud of that heritage. 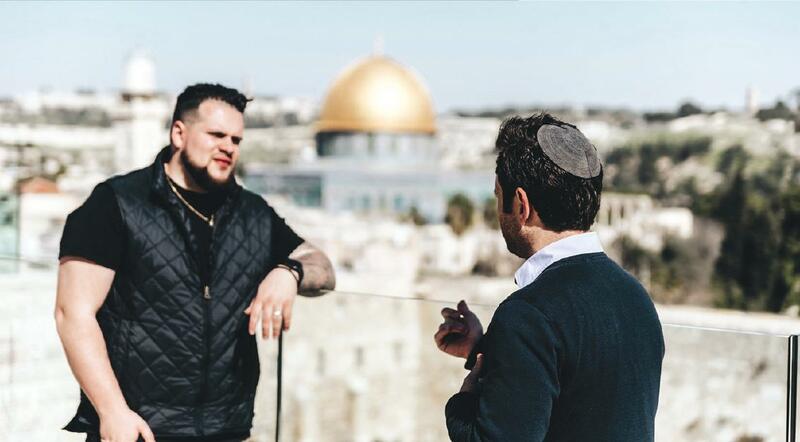 But over time, peer pressure and anti-semitic remarks began to chip away his armor and eventually, the necklace and flag came down, leaving his passion for his Jewish heritage dormant. That is until Rev. Robert Stearns, founder and executive director of Eagles’ Wings, invited Mesa to join a delegation of pastors for a comprehensive tour of the Holy Land – a transformative experience for Mesa. Now, on his second trip to Israel with Eagles’ Wings, he is already planning his third visit to the Holy Land where he will bring congregants of his Abundant Living Family Church to see the country for themselves. Such a development is not surprising for Stearns, who sees 40% of Eagles’ Wings participants subsequently return with congregants and lead their very own mission to Israel. For this particular trip, Eagles’ Wings, in partnership with its West Coast branch the Israel Christian Nexus, selected 30 young pastors of major Evangelical churches with huge social media influence. Mesa alone, preaches to a congregation of 12,000 and has 17,500 followers on Instagram. And the pastor has shared his experience in real time for everyone of his followers to see. “I feel privileged to be able to tell these stories and use my influence. People think I look like their neighbor, or someone they know, so they want to listen to what I have to say. That’s why I’ve taken on the responsibility to tell the story of Israel. This is our job,” said Mesa, whose youthful face and tattooed arms belie the stature and influence he possesses. Tapping into the social media milieu when advocating for Israel is a necessary evil for Stearns, who has brought more than 25,000 Christians to Israel since the 1990s. 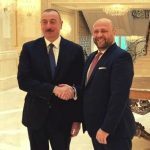 “I remember various crises Israel has faced and we’ve been able to activate our network and in very short order get a significant amount of people to respond or be aware of the situation because of social media. I think social media is a necessary evil in today’s world. I can’t stand it, but don’t think we’ll be able to get away from it. If that’s the reality, then let’s harness it for good,” Stearns explained. Stearns sees the trip as an opportunity to reignite Evangelical passion for the Holy Land among the Millennial generation. 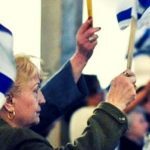 While advocating and visiting Israel was a given for parents and grandparents of Millennials, this isn’t always the case for a generation that is social media savvy and tends to back the underdog, which some perceive the Palestinians to be in this complex geopolitical conflict. For Aranza, he hopes this trip will teach him how to continue the interfaith dialogue he’s having in Israel back at home. “When I go back, I want to create ways where this can be a two-way street,” he adds. For Aranza, he is interested in fostering that dialogue back home. While in Israel, he hoped to learn from a people and state that has accomplished so much in a brief period of time. “Five countries declared war on Israel. For me alone, as a former veteran, I think, ‘God himself had to win that war.’ When you think of the sheer improbability of that happening, it not only shows the resiliency of the Jewish spirit, but the hand of God with the Jewish people,” he excitedly exclaimed after visiting Independence Hall. For many of the pastors on this trip, they feel an obligation to not only tell the ancient story of the Jewish people, but the modern one occurring today. SOURCE: The Jerusalem Report. Please click below for original source.